L.P.P.O.A Membership required. Receive special pricing on clubhouse rental fees. Membership Must be in good standing. Visit our Clubhouse page for details. Active members (returning or new) can earn referral bonuses! Bring in a new member and receive a $20 bonus check (mailed to you after Open House). There is no limit on the number of bonuses you can earn - the more new memberships you personally bring to the membership sale, the more you earn! L.P.P.O.A Membership required. Must be an active member of the Kayak Club. Completion of safety class required. Life Jackets must be worn at all times while on water. L.P.P.O.A Membership required. Must be an active member of the Sailing Club. Completion of safety class required. Life Jackets must be worn at all times while on water. L.P.P.O.A Membership required. All members are eligible to participate in the HUB Lakes Sports League. 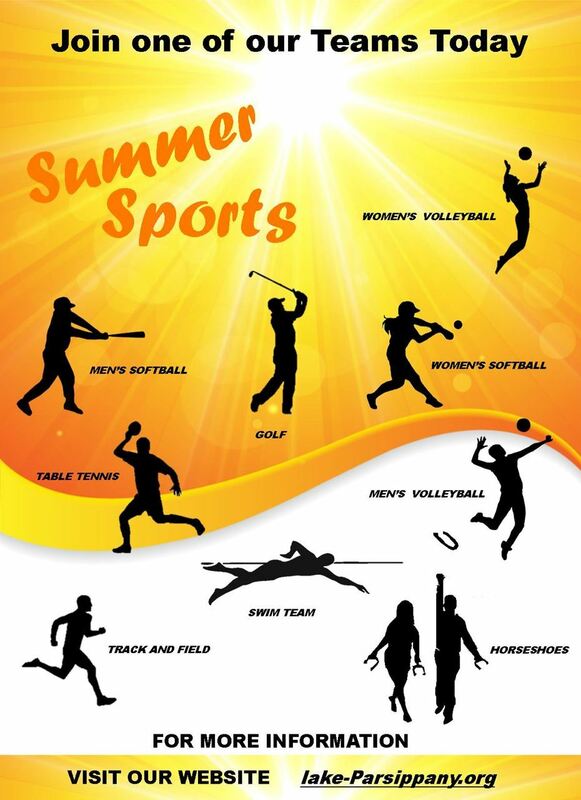 Please visit the Lake Parsippany Sports Page for details on joining one of our sports teams.